Discussion in 'Introductions' started by Frenchman, Aug 20, 2018. Hello guys. I am french and I am new in this forum. I am here because like you I am keen of football but also to improve my english. Forgive me if my english is not so good. You can ask me questions if you want (about the french Ligue 1, the French national team, the vision in France about you club, about your national team, about the PL, ...). You can ask me questions if you want . OK, I ask you: Why do you open this thread in the Premier league section and not in the Introduction section? ****, we'll play you in September in the new "Nations League (or Nations Cup or whatever this shite is called). I hope you're still celebrating the World Cup victory then because if not then I fear the worst. Sorry I had not seen. Until now french player continue to be in form : Mbappé, Mendy, Kanté, Pogba for example. But as for every farmer world cup winners we risk to dry spell soon. My friend bet £50 that Anthony Knockaert would play for France one day. Is he A) Stupid or B) Very stupid? Why are we (Sunderland) on the front of the new edition of L’Equipe? 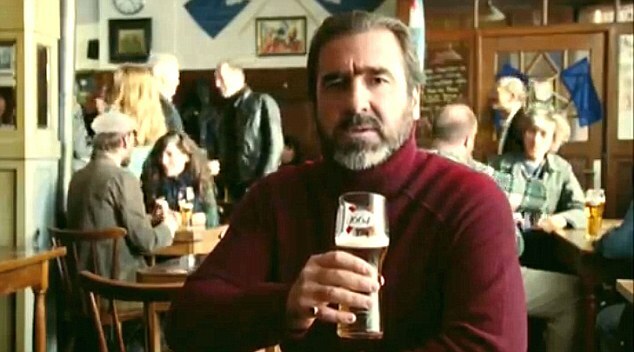 Welcome, 'Ooh la la, la Cantona, Oh la la, la Cantona..." drink and be merry just like Eric. I can ask questions ? Why do you eat snails, are Taxi Girl the best French band ever and which hotels would you recommend in Verdun ? Do the French love their children?